The Brawler's Guild is a faction that will test your solo skills against 28 opponents, which you will have to defeat in a pre-defined order. There are also 7 group bosses that you can defeat with the people currently in the area. Our goal with this guide is to give you all the information you need in order to defeat all these opponents and to earn all the achievements and rewards. To help you get started, we made a short introductory video that explains the basics. 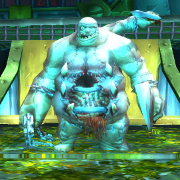 In order the join the Brawler's Guild, you will need a Blood-Soaked Invitation, which you can get from multiple sources. Black Market Auction House: invitations sometimes appear on the Black Market Auction House. 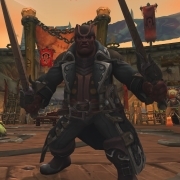 Killing players of the opposite faction in Zandalar or Kul Tiras will occasionally drop Blood-Soaked Invitation. 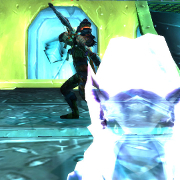 A. Shady will occasionally have Blood-Soaked Invitation for sale in Orgrimmar or Stormwind. Brawler's Pass (Alliance / Horde): this item is a reward given to players who defeat 12 Brawler's Guild opponents, and it can be traded. 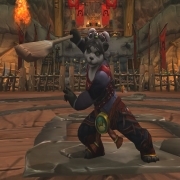 Once in possession of a Blood-Soaked Invitation or a Brawler's Pass (Alliance / Horde), all you need to join the Brawler's Guild is to right-click it. There is one Brawler's Guild location per faction and per realm. The Alliance arena is located within the Deeprun Tram in Stormwind City (see at 01:23 in the above video). The Horde arena is located in the north-eastern building of the Valley of Honor in Orgrimmar (see at 00:39 in the above video). As you can see in the video, both Brawler's Guild locations are instanced (i.e., you need to enter a portal to access it). We currently do not know whether there can be multiple instances of each location, as there are never enough players to warrant it on the PTR. At each Brawler's Guild location, there is only one combat ring (for which players queue). This means that, at peak hours, you may have to queue for a long time before being able to play. Every time you win a fight, you will be given a Brawler's Purse, which contains a junk quality item that you can sell for approximately 30 , as well as approximately 100 Brawler's Gold (which we explain how to use in a section below). In addition, there are currently several item rewards, which you can buy from Dershway the Triggered (Alliance) and "Bad Luck" Symmes (Horde). 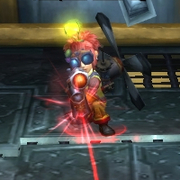 If you do not see the quartermaster, you will need to complete the first quest of the Brawler's Guild quest line. The quest is unlocked by winning a brawl. Upon reaching Rank 4, you get a Brawler's Pass (Alliance / Horde), which it sent by the mail. You can sell it or give it to a friend. As we said in the introduction, you will have to defeat a total of 28 opponents. To start a fight, simply talk to one of the NPCs in the corner of the arena and ask to queue for a fight. While waiting for your turn, you can watch other players fight, but will not be able to interact with their fight in any meaningful way. 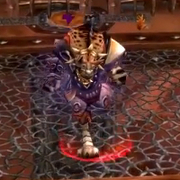 When your turn will come, you will be teleported inside the arena and, after a few seconds, your opponent will appear. 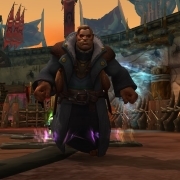 To help you save gold on potions, the Brawler's Guild quartermaster of your faction will sell you potions equivalent to the usual level 120 potions: Brawler's Coastal Healing Potion (2 40 ) , Brawler's Battle Potion of Intellect (20 ) Brawler's Battle Potion of Agility (20 ) , Brawler's Battle Potion of Strength (20 ). You will fight them in a predefined order of increasing difficulty. Each time you defeat the four opponents of a group, you increase your Brawler's Guild rank and unlock the next group of opponents. Some ranks grant you new rewards or achievements when you reach them. 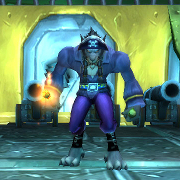 Technically, a Brawler's Guild rank is like a reputation that has goes from 0 to 1000. It will appear in the reputation window of your character pane. Every time you win a fight, you increase your reputation by 250, which means that after 4 fights, you reach a new reputation level (or rank). 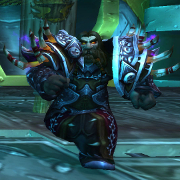 Gear is not scaled down when entering a Brawler's Guild fight, which means that fights get easier as your gear gets better. The opponents are listed below. Each Brawler's Guild boss has a corresponding Challenge Card, which unlocks after you defeat that boss for the first time. It can be bought for 3 from Card Trader Leila (Alliance) or Card Trader Ami (Horde). There are some Challenge Cards that do not correspond with any of the 28 bosses presented above. Mysterious Challenge Card is unlocked and used near the end of the Brawler's Guild questline. In previous seasons, there have been Challenge Cards that were unlocked in the world. These were typically unlocked either by killing specific enemies or by completing specific quests. This page will be updated if any of these are discovered. Brawler's Gold is a currency that is used to purchase rumble cards (for the rumble bosses) and interesting buffs. 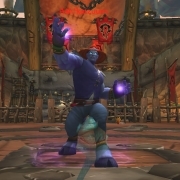 100 For the next 30 minutes, you can try to guess the winner of each upcoming brawl (player or NPC). Getting 10 consecutive correct answers will reward you with the Educated Guesser achievement. 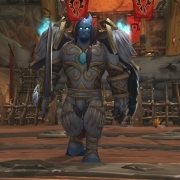 100 This lets you queue for random brawls (where you fight a random Brawler's Guild enemy) for 30 minutes, which allows you to obtain the I Am Thrall's Complete Lack Of Surprise achievement. 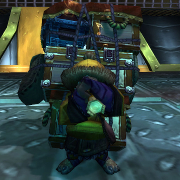 250 This lets you respawn inside the Brawler's Guild for the next 30 minutes (saving time running back from the regular graveyard). 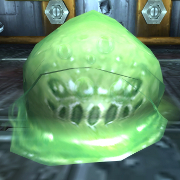 500 This creates an item that dispenses free potions to other Brawler's Guild player. Rumble Cards 500 Each Rumble Card allows you to spawn a specific boss that will pull everyone in queue to the Arena. 1,000 This gives everyone in the area free drinks at the bar for 2 minutes. VIP Room Rental Form (A) 1,000 This grants everyone access to the "VIP room" for 10 minutes, an area normally only accessible to players who have reached the highest Brawler's Guild rank (and which serves no practical purpose, other than being able to see the fights from higher up). Zeppelin Rental Form (H) 1,000 This grants everyone free Zeppelin rides over the arena for 10 minutes. 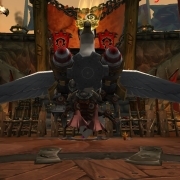 This is normally reserved for players who have reached the highest Brawler's Guild rank (and which serves no practical purpose, other than being able to see the fights from higher up). 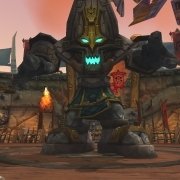 Rumble bosses are bosses that all players in the current Brawler's Guild queue will fight together, when the boss is summoned. To summon a rumble boss, a player must purchase and use a rumble card (costing 500 Brawler's Gold). Here are the current rumble cards. 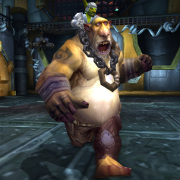 Patch 8.1.5 introduced a new questline for the Brawler's Guild. 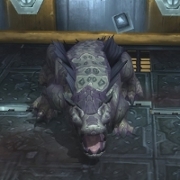 This questline is not required in order to rank up; however, completing it does reward Bruce, a new crocolisk mount modeled after the Brawler's Guild encounter Bruce. Additionally, you will need to complete the first quest in order to spawn your faction quartermaster. The questline will take some time to complete and will require you to save some of your Brawler's Gold. In total, you will need at least 1,100 Brawler's Gold. We recommend you complete the quests while also completing Brawls; you will need to be at least rank 6 to use the Skybag Teleporter. If you are not rank 6, you will need to spend 1,000 Brawler's Gold on a Zeppelin Rental Form. In addition to this, unless other players are purchasing Rumble Cards, you will need to purchase at least three. Rumble Cards cost 500 Brawler's Gold each. Rumbles are designed with multiple players in mind, so they may be hard to defeat alone. Additionally, purchasing a rumble card has a 24 hour account-wide cooldown. Unless there are other players starting rumbles, it could take up to three days to complete this part of the quest. 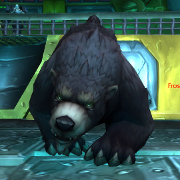 During the Brawl'gar Trial, your choices will not affect you later on. The choices only change the dialogue during the cutscene. Shirts that had been unlocked in previous seasons can still be purchased from Quackenbush (Alliance) and Paul North (Horde). 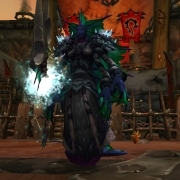 You can be used for transmogrification and you can see what they look like on this (news from Wowhead). Below is a list of all the shirts. 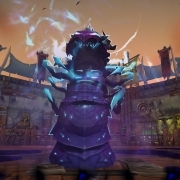 Following complaints from players that Horde fights were hard to follow (due to the arena being at the same level as the surrounding), Far-Sight Totems have been added around the Horde arena. Clicking these totems will give you a much better viewpoint on the fights. 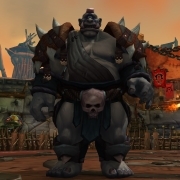 Brawler for Azeroth (Alliance) or Brawler for Azeroth (Horde). You Are Not The Contents Of Your Wallet requires you to obtain 20,000 . Educated Guesser requires that you correctly guess the winner of the next brawl 10 consecutive times. You will need the High Roller's Contract or High Roller's Contract (H) (purchased with Brawler's Gold) to attempt this. 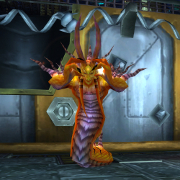 I Am Thrall's Complete Lack Of Surprise requires you to defeat 10 bosses using the random brawl mode. You can purchase a Bag of Chipped Dice (A) from Ulaani or a Bag of Chipped Dice (H) from Tiana Nevermorn for 100 Brawler's Gold, which will enable to you to queue for random brawls for 30 minutes. Note that using the item places a buff on a brawler guard, so in the 30 minutes that the buff is active, other players can also queue for random brawls. 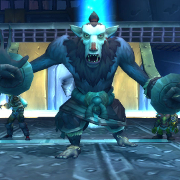 Rumble Club requires you to defeat all rumbles bosses in the Brawler's Guild. 13 Mar. 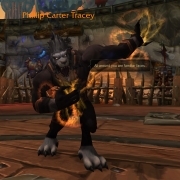 2019: Updated for BfA 8.1.5. 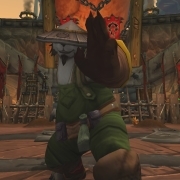 11 Jan. 2017: Removed a mention that stated that you do not need a new invitation to join the Brawler's Guild if you had already joined during the previous seasons, as this is not the case. 05 Jan. 2017: Ranks 6 and 7 added. 04 Jan. 2017: Rank 5 added. 04 Jan. 2017: Ranks 3 and 4 added. 29 Dec. 2016: Updated for Season 3. First 2 ranks added. 11 Dec. 2014: Updated for Warlords. A few fights are still missing.